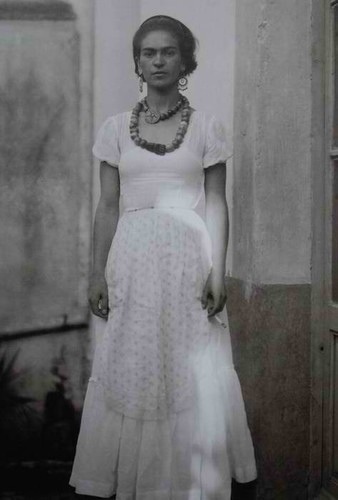 Defiantly beautiful, tenacious, and veracious, Frida Kahlo was and still is one of the most revolutionary and influential women in modern culture. 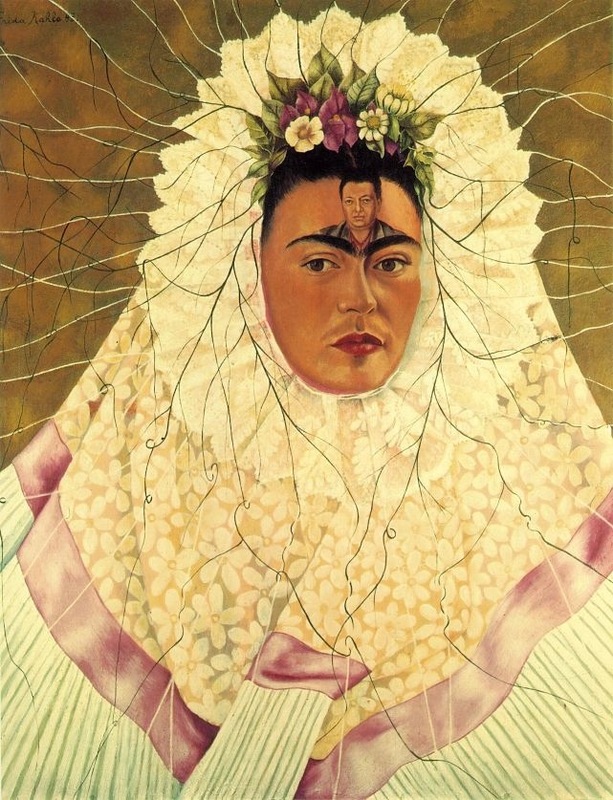 The Mexican artist, known for her surreal self-portraits, emblematic of her indigenous Mexican culture, her great love for her husband and her tragic disability, are still celebrated in exhibitions and retrospectives around the world. 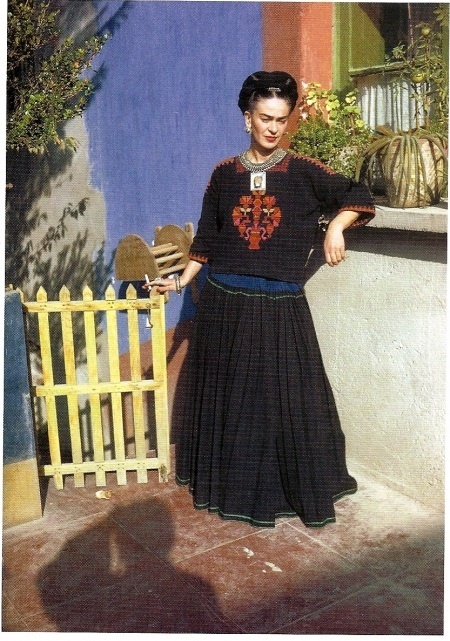 The latest exhibition however is not about her paintings, but her legendary wardrobe, which has been equally revolutionary and influential to modern culture. 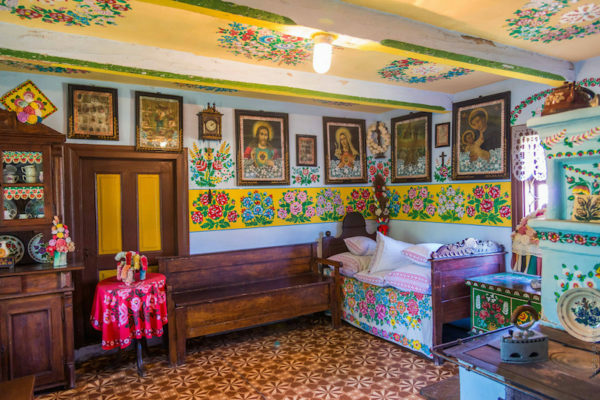 And just like her paintings, her personal style was surreal and emblematic of her indigenous roots, her love for her husband and her tragic disability. 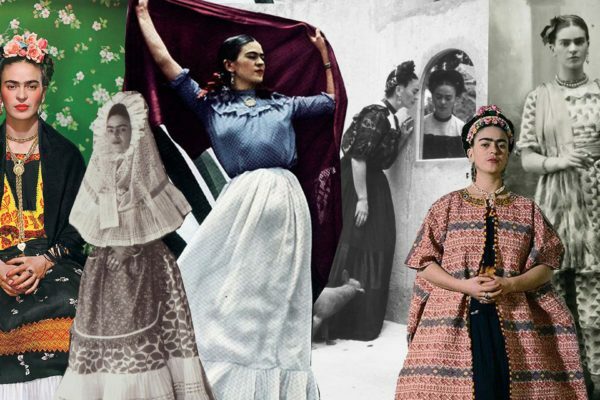 For the first time ever, Frida Kahlo’s closet is on display at her museum and former home, La Casa Azul in Mexico City. 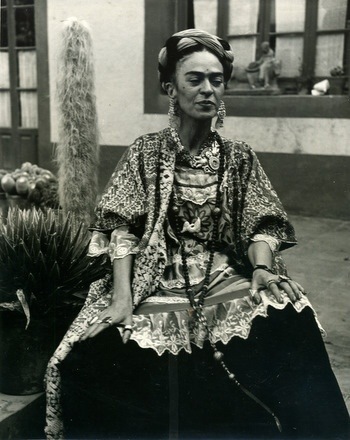 Yes, she was a revolutionary celebrating her ethnicity on a world stage, but Frida also used the long skirts and corsets to hide a body which was left disfigured by childhood polio and a near-fatal road accident when she was 18 that forced her to have over 30 operations, including a leg amputation in her last years. 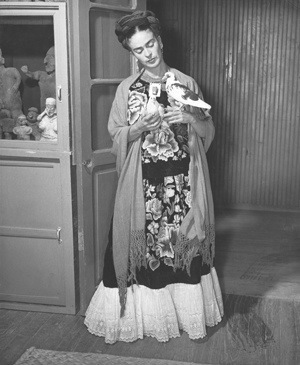 Frida allegedly once said, “I suffered two grave accidents in my life. One in which a streetcar knocked me down. 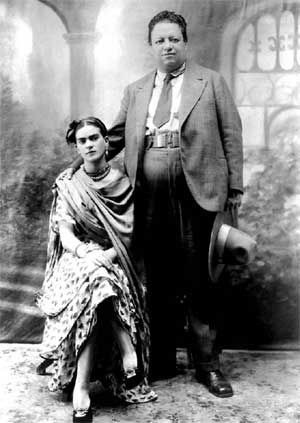 The other Diego.” Despite passionate and deep, Frida and her husband Diego’s love for each other was so often troubled. They both had terrible tempers and entertained many extramarital affairs. 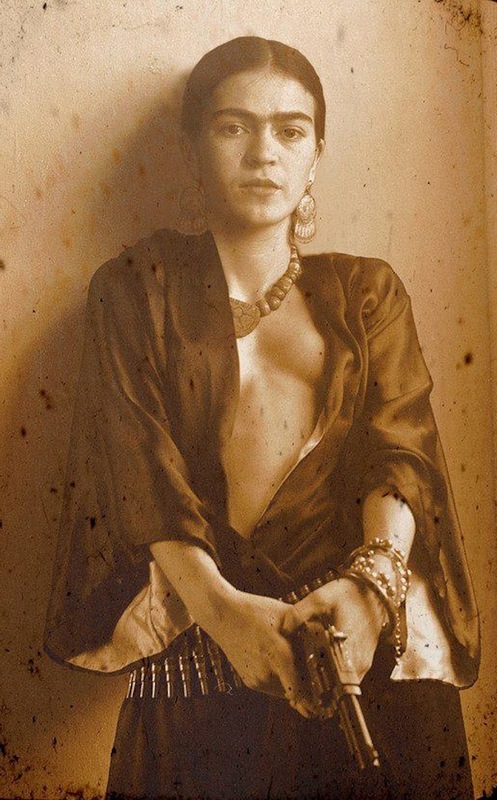 Bisexual Kahlo had affairs with both men and women, including Parisian dancer Josephine Baker, meanwhile, a philandering Rivera had numerous affairs, including one with Frida’s younger sister, Cristina. 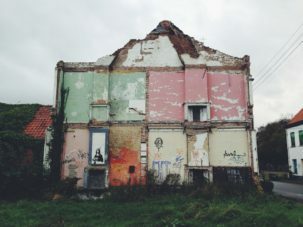 The couple divorced in November 1939, but remarried in December 1940. 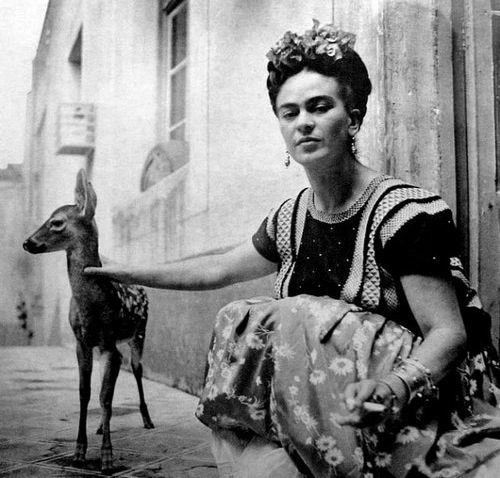 The artist never tried to hide the great deal of pain she experienced in her life. 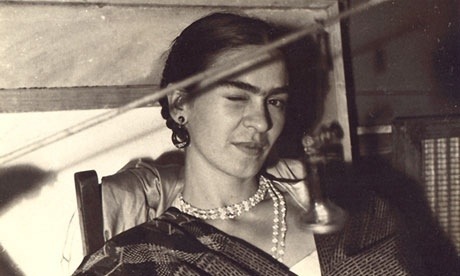 Her often violent, sinister self-portraits and paintings always portrayed exactly what Frida was experiencing in her life. 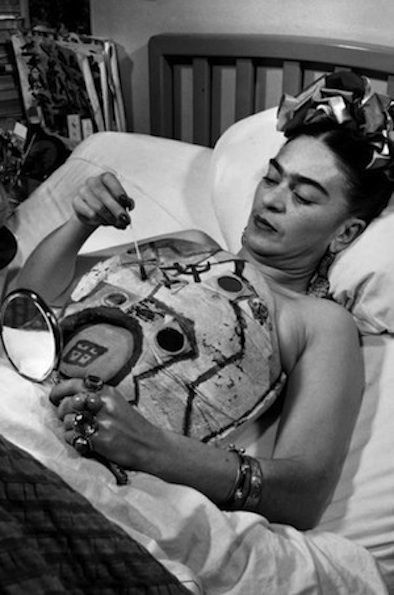 Frida painting her own body cast. 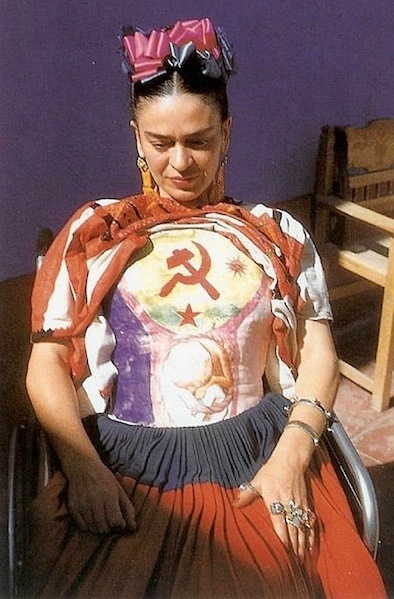 Frida still appears on art Tumblrs and fashion blogs all over the internet. This is a photoshopped image via here. 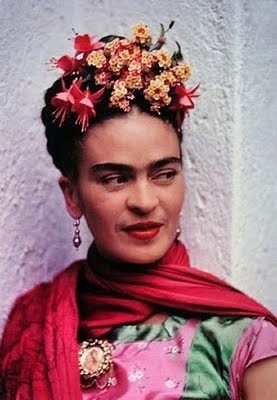 Perhaps this explains her choice to flaunt her famous monobrow. 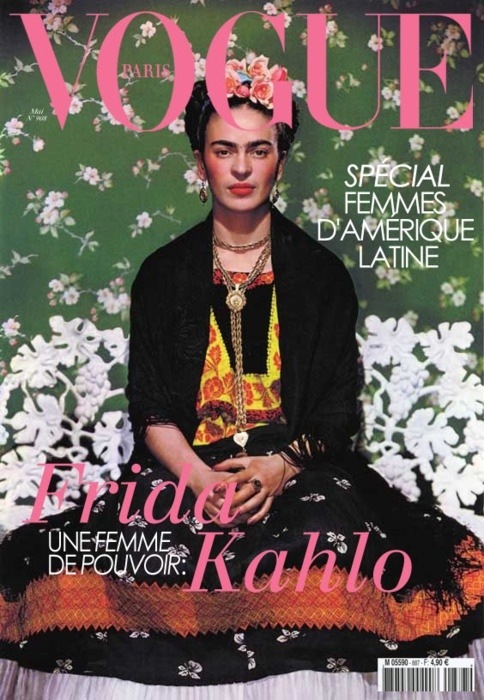 Frida had learned to love herself fully, creating a positive image of her beauty and thus proudly playing-up every facet of it. 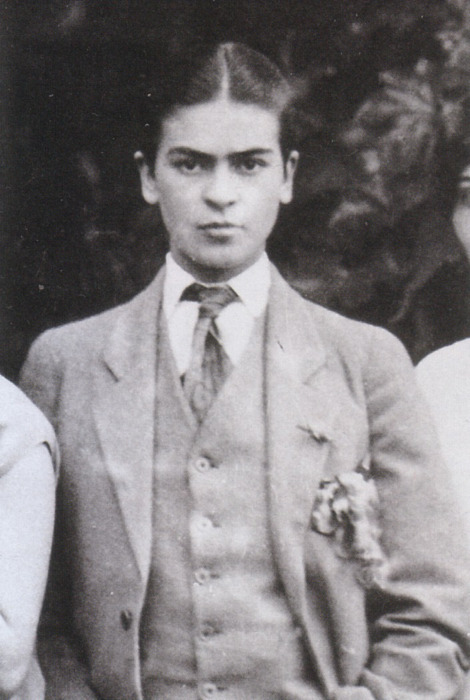 In this close-up from a family portrait, a young Frida experiments with androgynous style, flouting traditional norms by donning a gentleman’s suit and slicking back her hair. 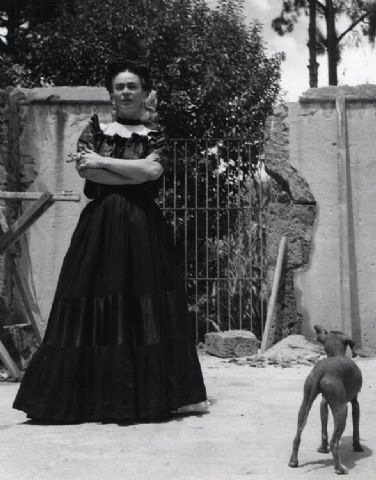 Frida the rebel. 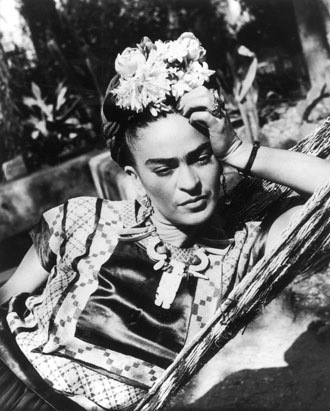 We have much to learn from this powerful woman who knew that there is no greater runway than the runway of life. 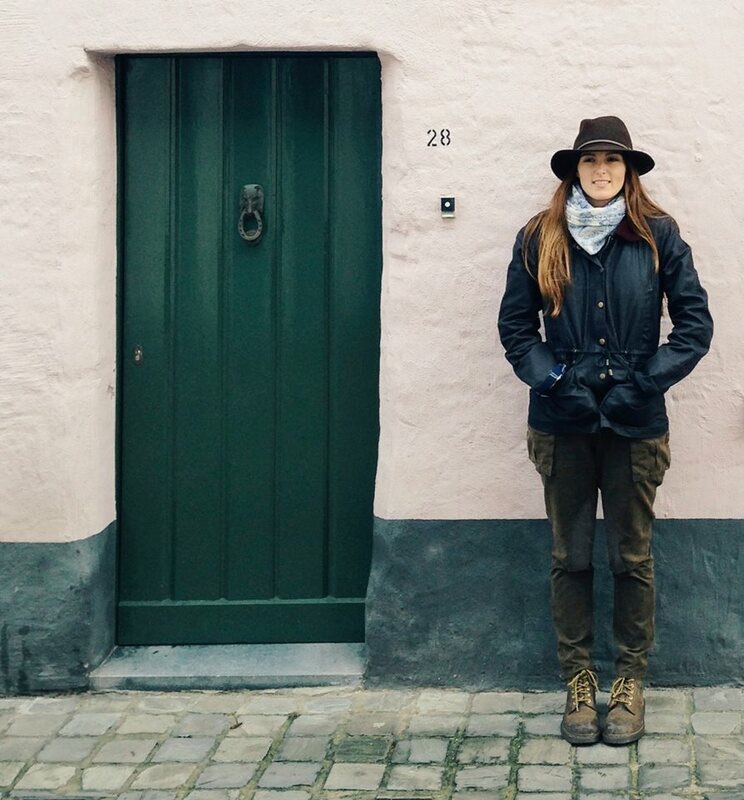 Next stop Mexico?! 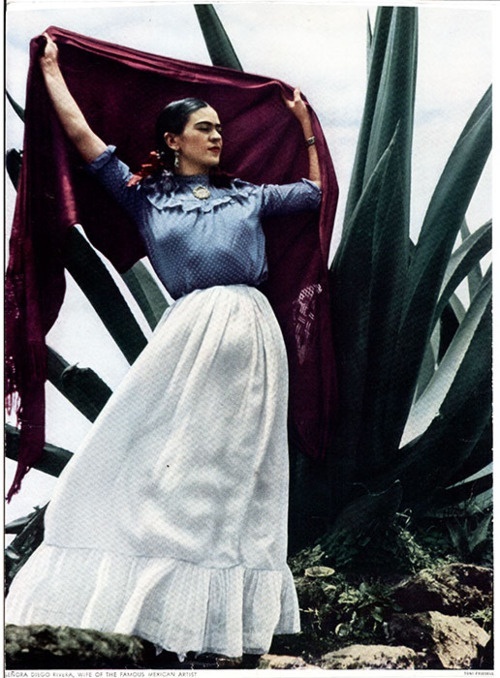 If you’re lucky enough to be in Mexico City within the next year, “Appearances Can be Deceiving: The Dresses of Frida Kahlo” will show at Museo Frida Kahlo in Mexico City until November 22, 2013. 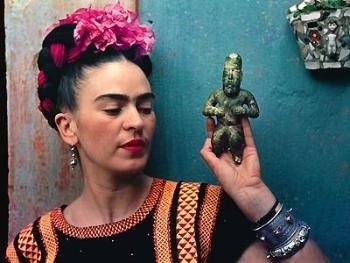 Photos via the Banco de México Fiduciario en el Fideicomiso relativo a los Museos Frida Kahlo y Diego Rivera.